especially to people that can really appreciate it. I wish I had done a better job of taking photos over the years. up with talking to my visitors I forget to take any photos. pics of visitors which I will add when I find them. Below are the most recent visitors with note about who they are. late 40s X band airborne radar. over brought to visit the collection. 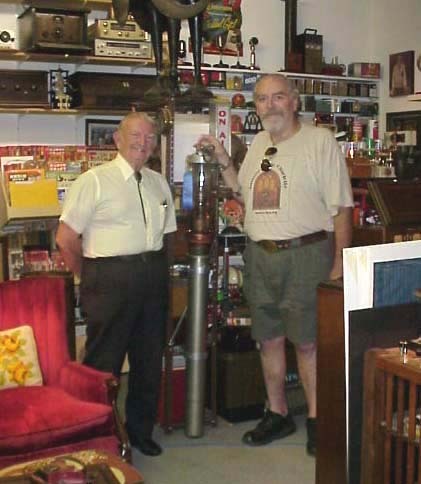 Jim is an expert restorer and reproduction parts maker for WW2 German Enigma code machines. 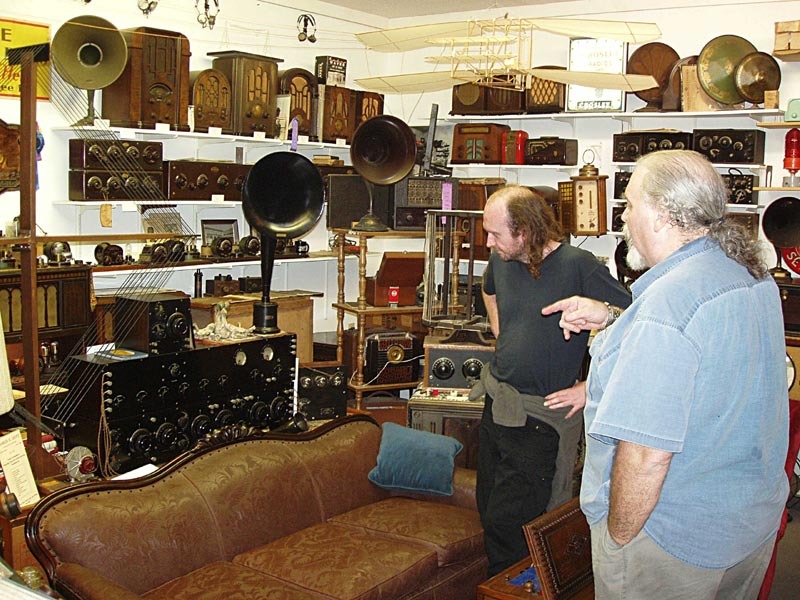 If you'll click on the photo above you'll be taken to another page I have showing a visit to Jim's Enigma repair shop. 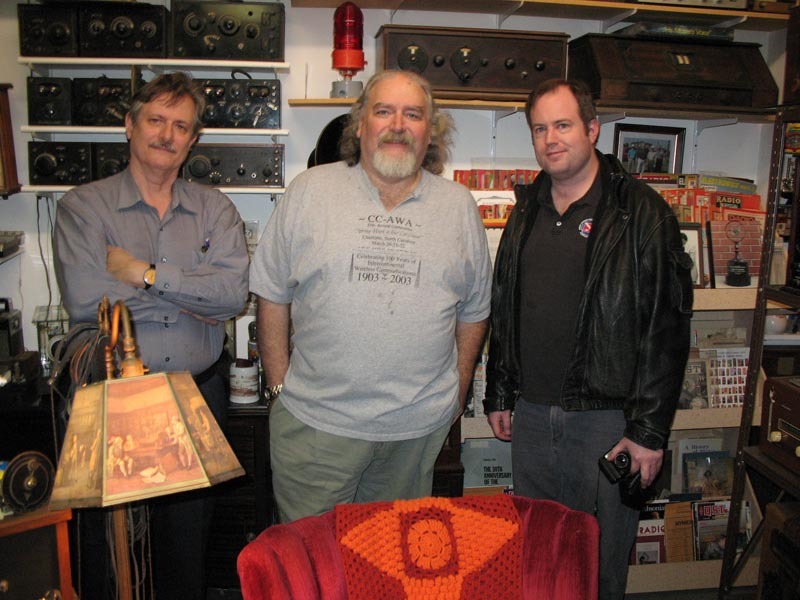 Here I am between Jim Oram (left) and Eric Nordgren (right). 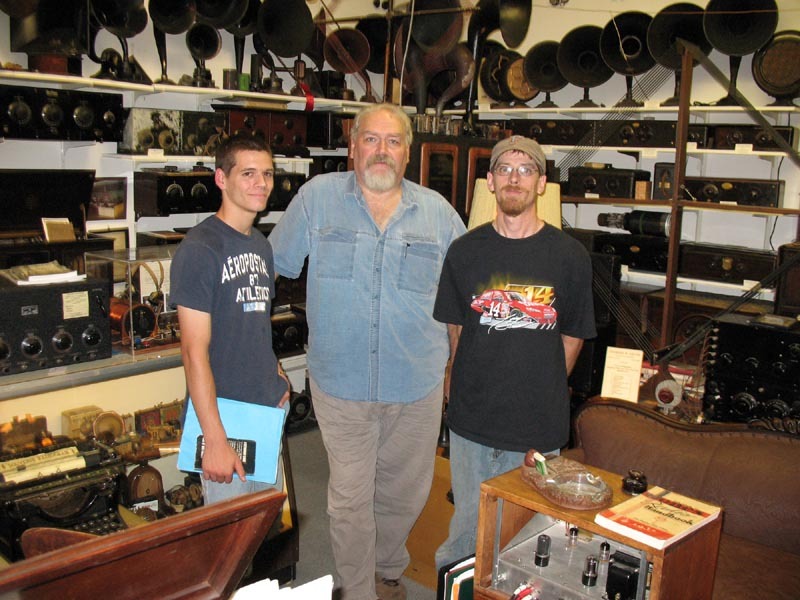 Eric is a senior conservator with the USS Monitor project at the Mariners' Museum in Newport News, has worked as a conservator for a wide variety of museums and archaeological projects both in the US and overseas. Nordgren has also worked as field conservator on many archaeological excavations in Greece, Turkey and the Middle East. He has worked with historical and archaeological objects made of a wide variety of materials and from varied contexts, but currently focuses on the conservation of metal objects from marine archaeological sites. The Monitor is largely metal, and he is especially interested in how the corrosion process affects it. Dan is a nano technologist with the University of Sydney Australia. He was here working on a project with North Carolina State University. 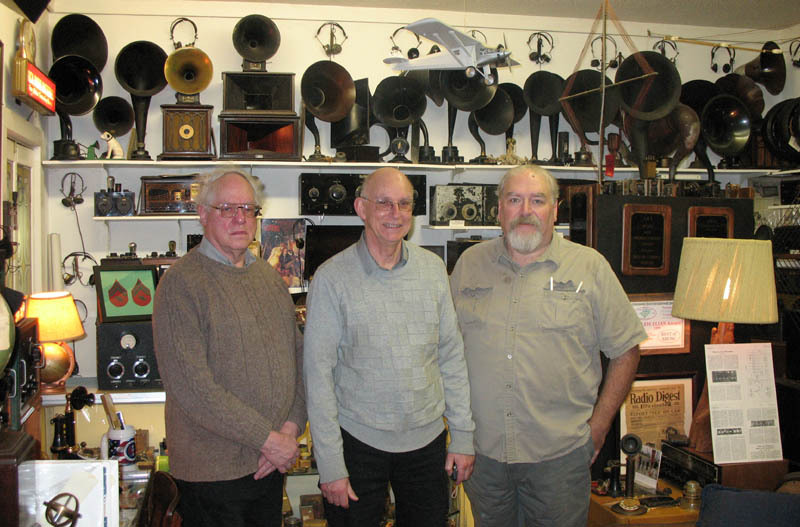 class project on the development of radio broadcasting. grandfathers Crosley radio that he plans to show as part of his project. Peter and his wife were in the area visiting their son and found me via the Internet so I invited them over for a visit. 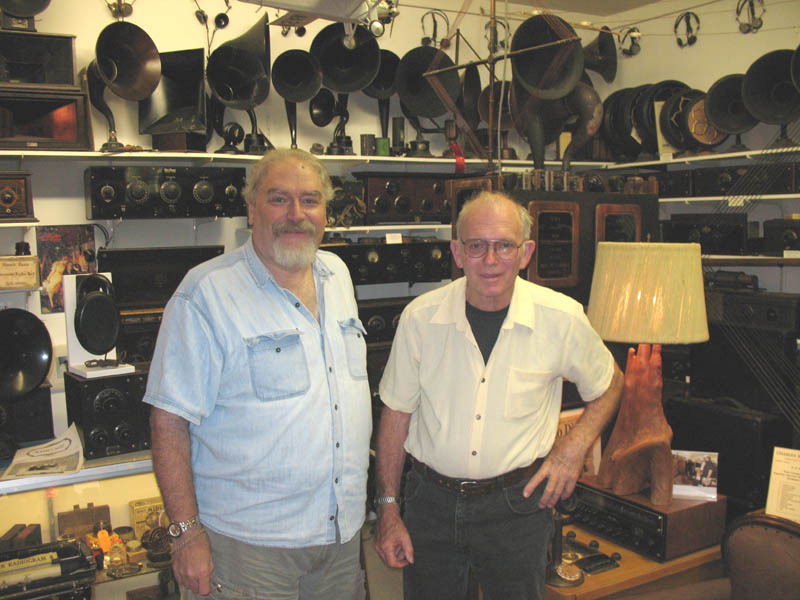 high quality antique radio publications like that here in the USA? Glen is retired VP and chief technology officer for Apple Computer. he also a serious Sherlock Holmes fan. Here's some friends over for coffee after going out to dinner. 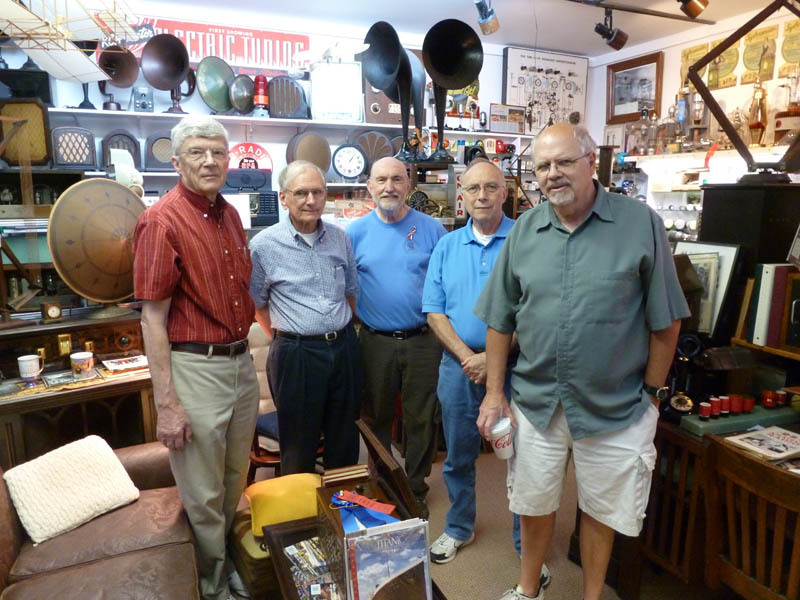 Here's a group of collectors that stoped by for a visit. This is Scot Treadwell KC4YOP and Brian Harrison KN4R. 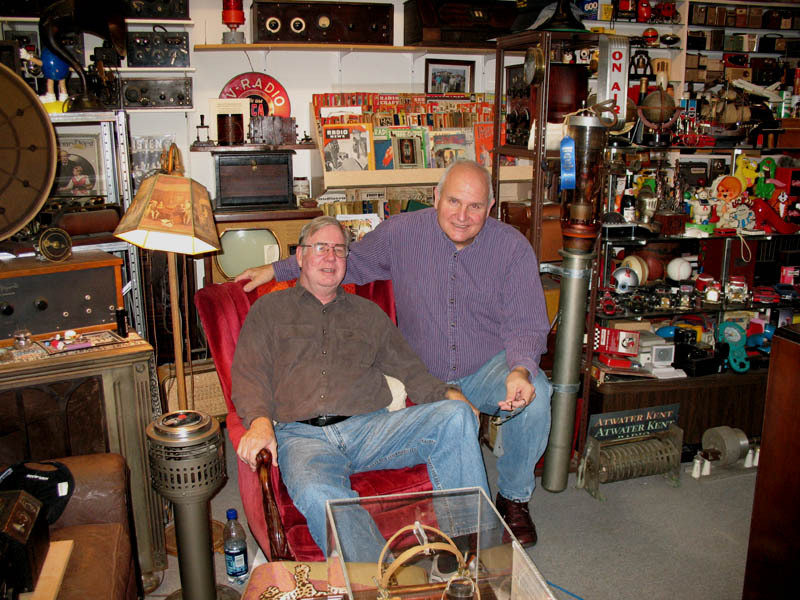 Brian is one of my oldest antique radio buddies. I think we first met in 1975. 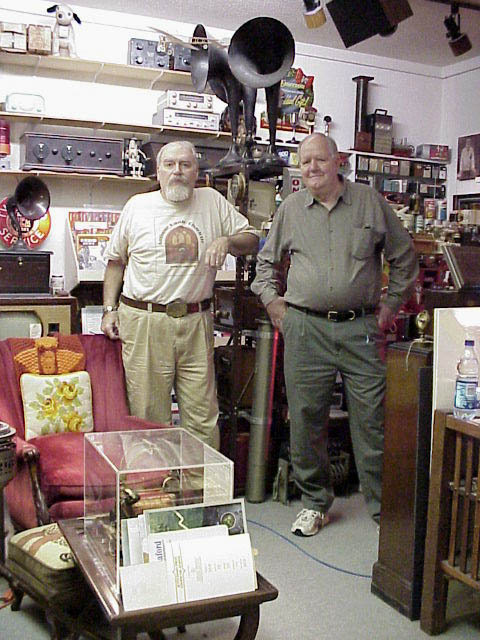 He and his wife Cathy and me and my wife Belinda went to our first antique radio meet together in 1978 Winston Salem NC. Scot used to be an electronics instructor at our local community collage. The last time he saw the collection it was in a room about 1/4 the size of where it is now, that was well over 20 years ago in our first house. 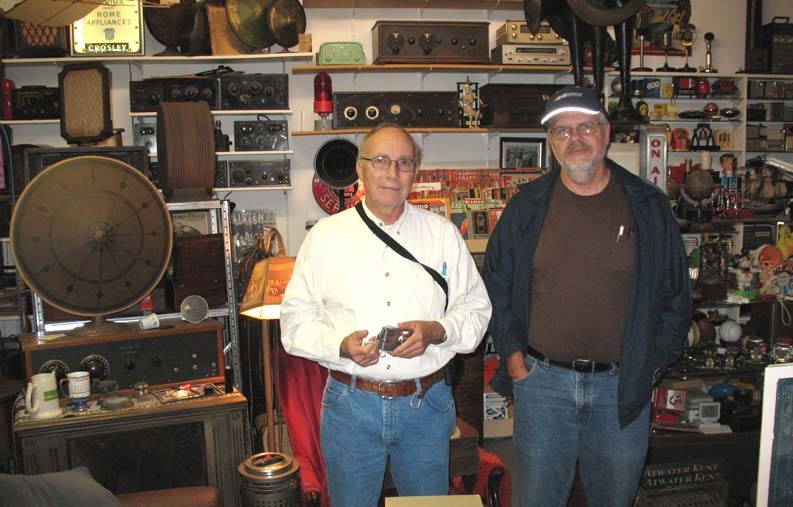 John Runski and Steve Ellington N4LQ came to visit on October 29, 2010. I enjoyed their visit and aftwards we had a great lunch at Rock Store BBQ. 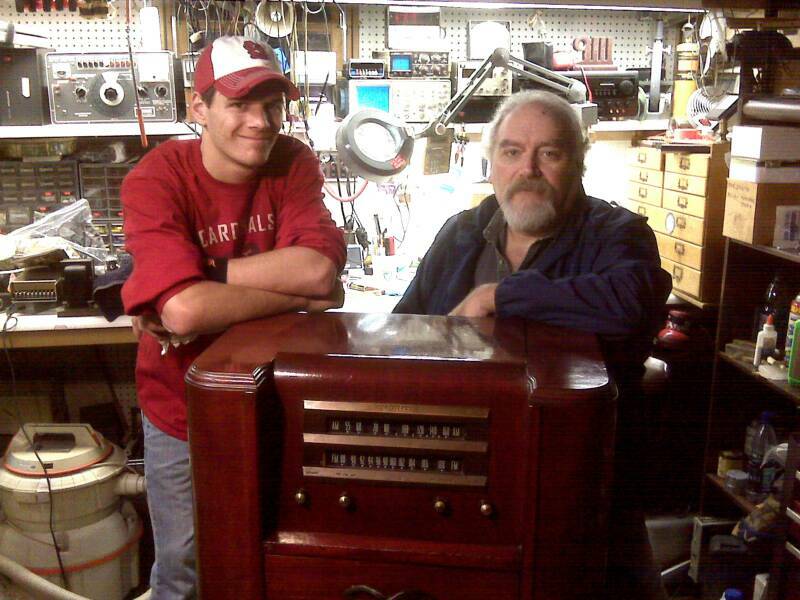 on his first visit on New Years Eve 2010.
radios, and the best part is he likes the old battery era stuff the best. A collector after my own heart. Says he can't wait until the Charlotte show. I hope he'll be a part of the hobby for a long time to come. unit, the 145th Comm. Flight. 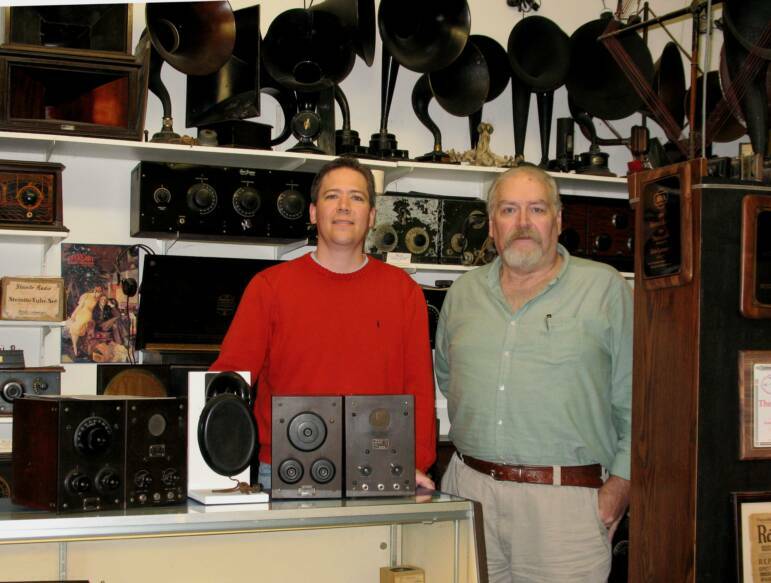 Today August 10, 2011 I had to honor of having lunch and then giving a tour of my radio collection to Dwight Moody. Mr. Moody is the leader of the WBT Briarhoppers. 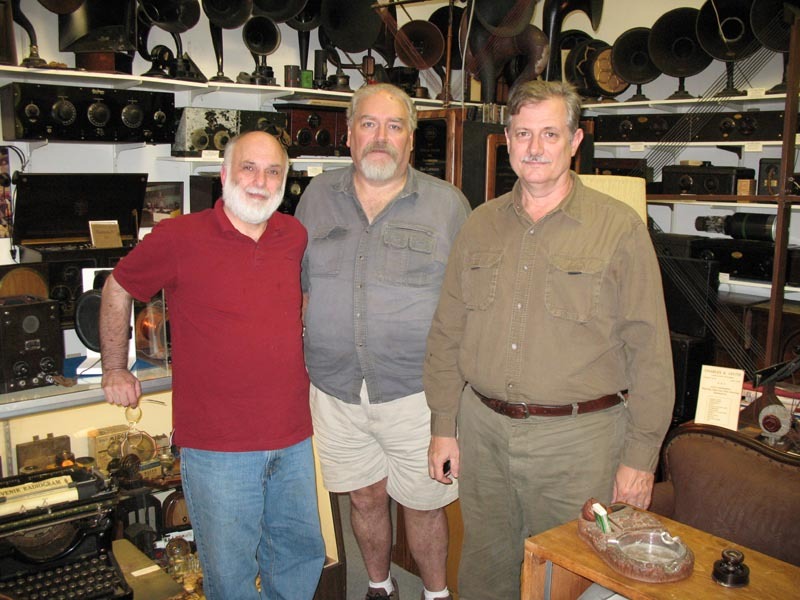 We're hoping to hire the Briarhoppers to play at the 2012 "|Antique Radio Charlotte". Gwight is a world travelier who is famous for his fiddle playing. If you're interested you can visit the Fiddling Dwight Moody web page just by "clicking" on the photo of us. 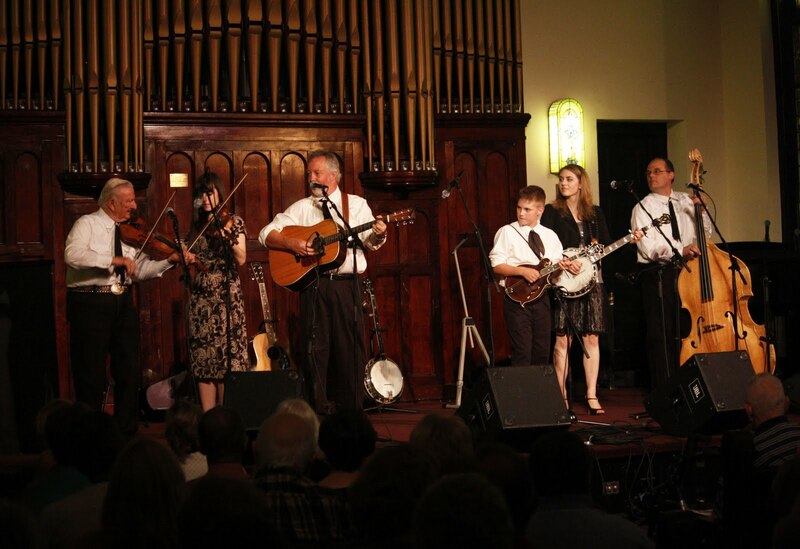 The photo below is of the Briarhoppers playing at an event in Charlotte. web page by "clicking" on their photo. Here are some of the local hams and friends that met for lunch at Rock Store BBQ in Stallings and then visited Radio Heaven. 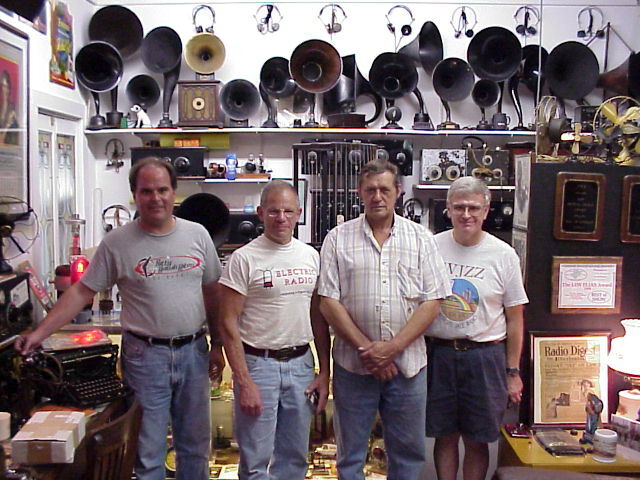 Richard Wayne W4LN, William Culpepper W4BZ, Carl Starnes W4EAT, John Runski (soon to be K4JCR) and Steve Ellington N4LQ. Bob Dewitt K4RLD & Elmo KB5WY left early before I thought about taking a photo. I also forgot to get all of them to sign my Guestbook. Oh well, there's always next time. Lunch was great and the visit was great, at least for me for sure.